Charlie ha tenido mucha suerte. 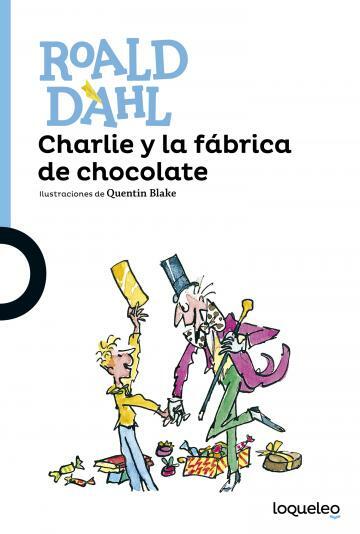 Ha sido uno de los elegidos para visitar la maravillosa fábrica de chocolate Wonka. A veces, la toma de una decisión transforma tu vida de manera radical. Eso es lo que le sucede a Charlie. Roald Dahl’s much-loved story about how Charlie Bucket wins a ticket to visit Willy Wonka’s amazing chocolate factory is turned into a play for children to act. With tips about scenery, props and lighting, the play is easy to stage and there are lots of parts for everyone. Roald Dahl, the best-loved of children’s writers, died in 1990 but his books continue to be bestsellers. Richard George was an elementary school teacher in New York when he wrote this stage adaptation of Roald Dahl’s bestselling story – and Roald Dahl himself recommended that it should be published.